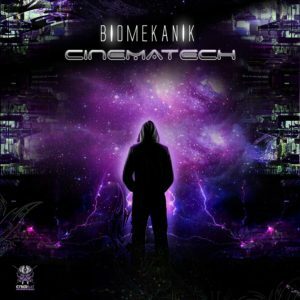 CyberBay Records is proud to present Cinematech, the debut release from Berlin-based producer Biomekanik. His style is unique, with cinematic sound design, deep bass, and exciting stories to tell in each and every track. Mastered by Biomekanik Bruno @ Biolab Studio, Berlin, with original cover design by Al Vo @ Alvo Creative Imaginarium. MP3 Download | FLAC Download | WAV Download · Download count: 11,809. Proper stuff I like it very much :). We were chatting this summer at Human Evolution btw, http://psyhead.audio was the thing I was talking about, but it’s still more at idea level than execution. Go Bruno !!! Go !!!! Awesome Release !!! Yeah it is TOP! Thank you, brother!